Imagine, though, if you also heard that you were sentenced to die.) 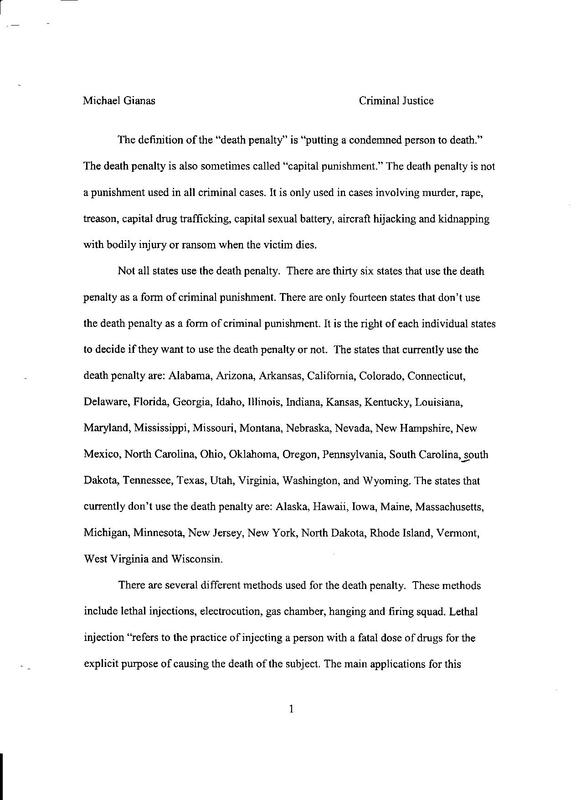 2) TELL ME WHAT YOU'RE GOING TO TELL ME -Main Argument: Capital punishment should be stopped. i) 1st supporting argument (2nd strongest reason): because it is morally wrong,. ii) 2nd supporting argument (least strongest reason): expensive,.